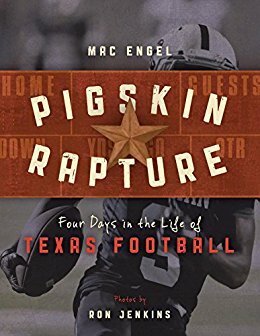 Pigskin Rapture: Four Days in the Life of Texas Football by Mac Engel and Ron Jenkins is a first-ever, one-of-a-kind, 360 degree look at the athletic and cultural phenomenon that is Texas football, and launched the new Lone Star Books imprint this fall. 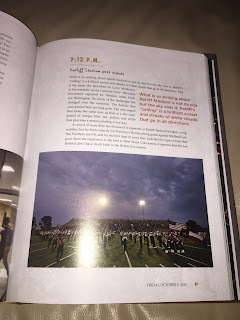 In a magical four-day period in autumn 2015, both of Texas’s NFL teams played at home on different days (Indianapolis Colts at Houston Texans and New England Patriots at Dallas Cowboys), a major high school rivalry was set for Friday night in West Texas (Midland Lee at Odessa Permian), and a fierce regional rivalry came to the Cotton Bowl on Saturday afternoon (Oklahoma vs. Texas). 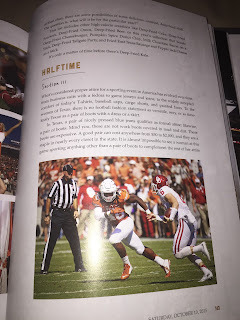 Pigskin Rapture (August 26, 2016; $26.00; ISBN: 978-1-63076-241-4; 240 pages) captures not just the action on the field, but all of the the sights, sounds, and smells of a state smitten with football: from K-D’s Barbecue in Midland, to the rarefied air of Cowboys owner Jerry Jones’s private box in AT & T Stadium. 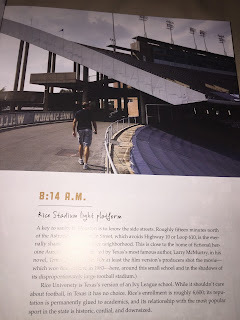 Here, too, are the more subtle and occasionally unseen manifestations of Texas football culture: a homeless man who resides on a practice field in Houston; the cavernous remains of the Astrodome; the proud high school where Andrew Luck played; the Australian woman who made the Cowboy’s cheerleading squad, having never watched an NFL game; and the hangover a West Texas town continues to endure nearly three decades following the publication of Friday Night Lights. About the author and photographer: Mac Engel is a columnist for the Fort Worth Star-Telegram. Since 1998, he has covered the Texas Rangers, Dallas Stars, and Dallas Cowboys as well as colleges, high schools, and the Olympics. 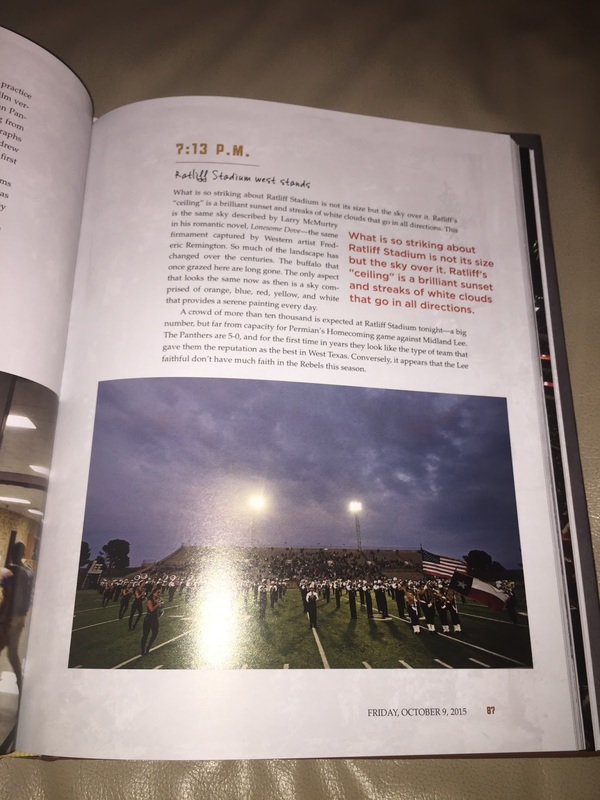 His Big Mac Blog was named the best blog in Texas by the Associated Press in 2012. Fort Worth/Dallas–based contract photographer Ron Jenkins specializes in sports, covering the Dallas Cowboys, Texas Rangers, and Dallas Mavericks as well as NCAA, high school, and everything in between. His photos have been published all over the world, including in French sports magazine L’Equipe, premier German magazine Stern, and the USA’s Sports Illustrated. About Lone Star Books: Lone Star Books is a new trade imprint dedicated to all things Texas – from history and sports to food, gardening and lifestyle. My son is a huge Dallas fan much to his dad's dismay (Dad loves the Giants so you can imagine this household come game day.) 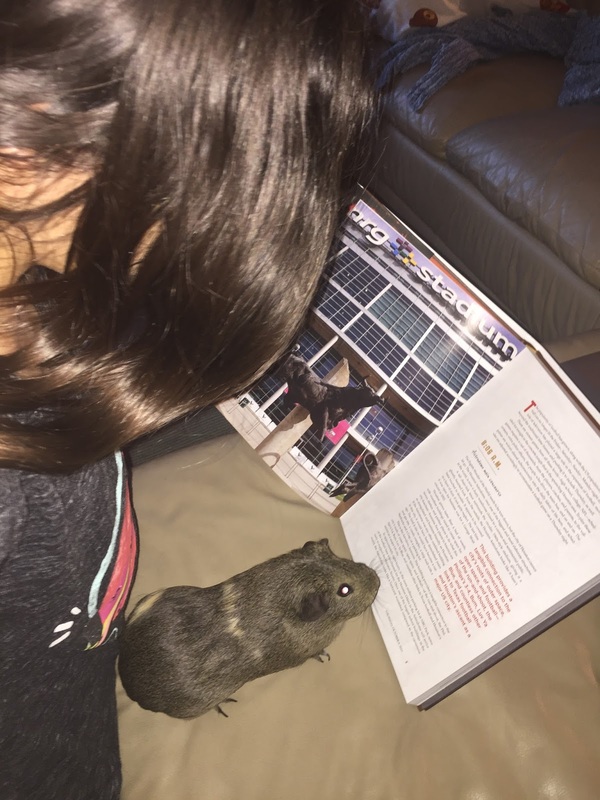 He has looked through this book at least 25 times since we received it 2 weeks ago and that is the times I have seen him. He loves all things football and is a stickler for details and inside information. 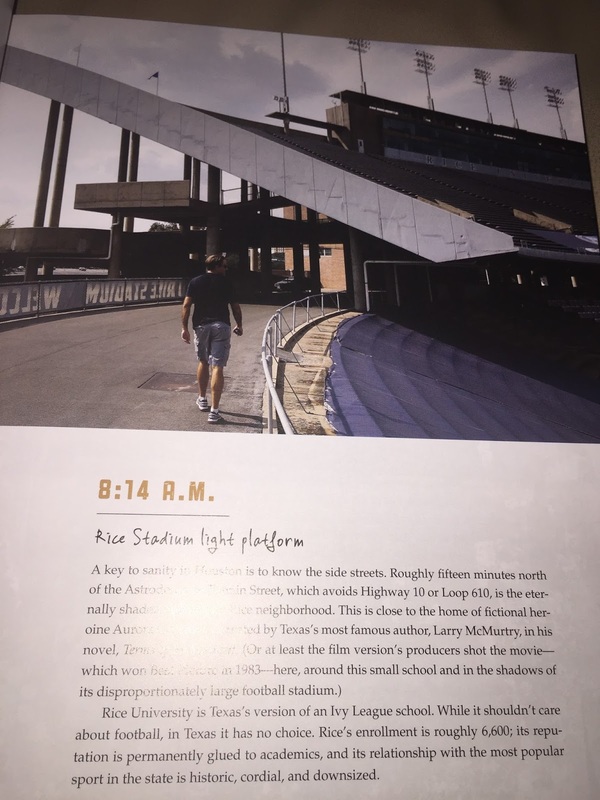 Author Mac Engel basically wrote out his travel log which also includes a dining log and it is full of details and information that you normally wouldn't get in a Non-Fiction book about football. 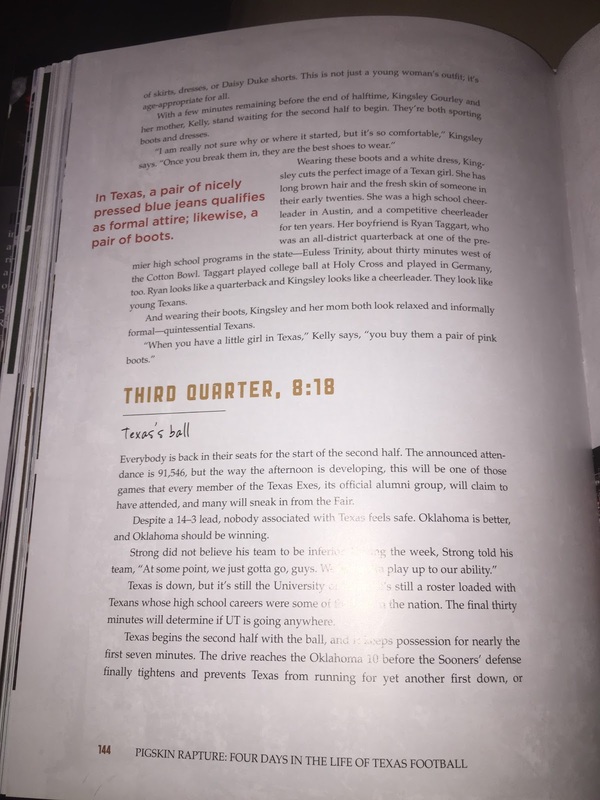 What is great about this book is how it is layed out in 4 quarters which basically covers 4 games; the Houston Texans Thursday night, High School Odessa Permian Friday night, The University of Texas Saturday, and woot woot Dallas Cowboys on Sunday. 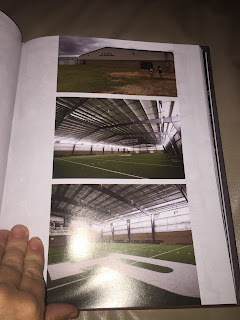 There are a ton of full color photos as well as some snapshots to go along with it. 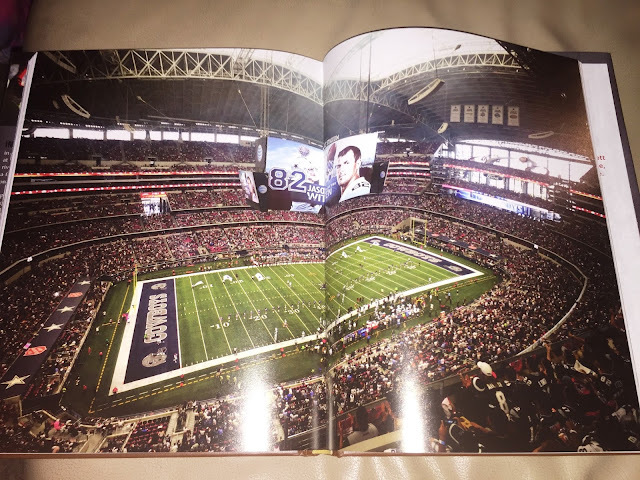 My son really enjoyed all of the information about the other games even though he has focused on the inside information of the Dallas Cowboys section including the owner's suit and post game interviews. Since the age of 8 have thought my son would be a great sports announcer because he talks through the game as if he is. 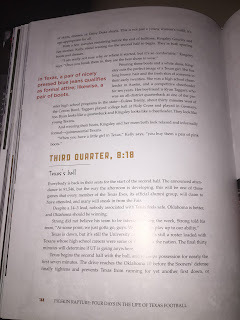 If possible, this book has made him love his favorite sport even more. Even my daughter and her Stormy seem to love the book and she doesn't like football. This is a great gift for football fans and the perfect coffee table book. Disclaimer: I received a complimentary product for my honest opinion. . My reviews are 100% honest and true based on my personal opinion not on a company’s description or request. I am not employed by any company I review for. No monetary compensation was received.